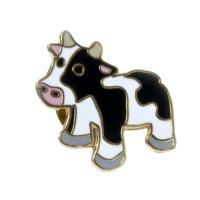 Carry your Milton Keynes Cow Pin with you every day by wearing a cheerful MK Cows Lapel Pin. These Lapel Pins come packaged in a clear plastic display box. Milton Keynes gifts and souvenirs.